It is not often that a Road Rally comes around and when the Imokilly Motor Club announced the date of their Mini Stages 2016 for Sunday, 17th July the members of East Cork Camera Group began to gear themselves up for the action. The main sponsor for the Rally was O'Briens garages Midleton and Mallow while the Culann Wants to Walk fund was the Motor Club's charity of choice. The Rally itself was made up of 2 stages done 3 times with service after Stages 2 and 4 and finish back at the Midleton Park Hotel. Stages 1, 3 and 5 were held in the Cloyne area and Stages 2, 4 and 6 were held in Ballintotis. The 1st Stage was very technical and 2nd Stage was a more flowing open stage. The Clerk of the Course reported that it covered 80 km to " test man and machine to the limit". Some of our members managed to get to Spectator viewing points along the route while others were locked in (due to road closures) bringing the Rally to them. As the time for the start of the Rally neared there was an element of excitement and anticipation in the air and when the Safety Car passed we all knew that the race was about to get underway. Within minutes the sound of an engine could be heard approaching and the noise of stones being scattered through the air as the first car took corners at high speed. Then in the blink of an eye the first car had passed by and the next car was following within seconds in it's tracks. The driver may have had his foot on the accelerator but the members of ECCG had their fingers on the shutter button ready to capture the action! 96 cars started the Rally but sadly all did not finish as they encountered problems along the route. 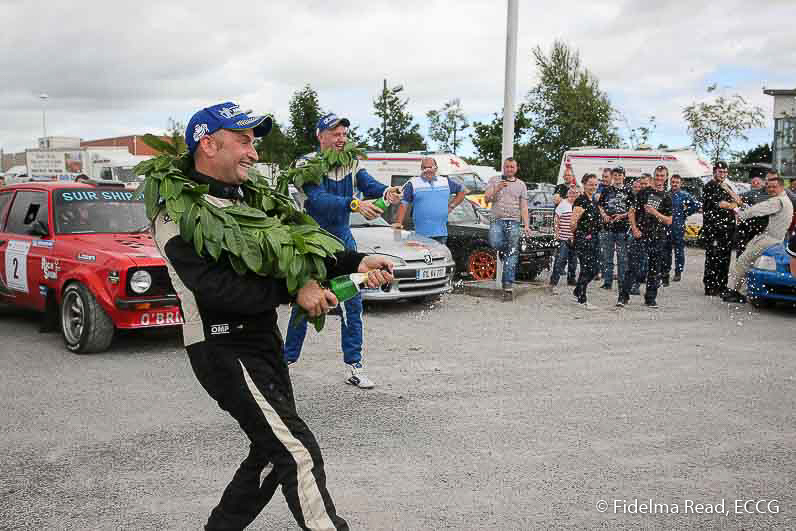 The Midleton Park Hotel was the Rally HQ and the Scrutiny, Parc Ferme and Service were at Market Green. Those that finished returned to a heroes' welcome at Market Green and our members were there too to capture the excitement. Well done to Imokilly Motor Club for organising such an exciting and challenging event. Click here to see a gallery of images from this shoot. Enjoy! 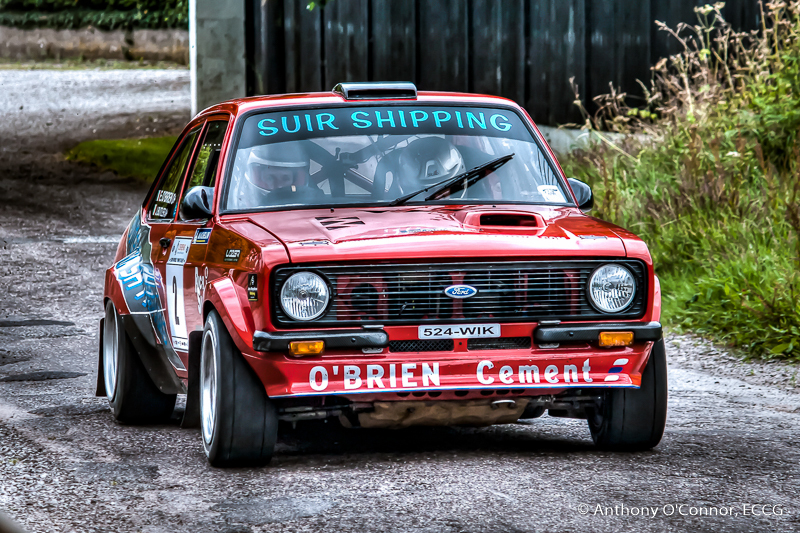 This entry was posted in Shoots and tagged Imokilly Motor Club, Mini Stages, Motor Racing, Rally by Denis Barry. Bookmark the permalink. Copyright 2019 © East Cork Camera Group & it's members.